“The Parlour was founded by co-owners Yoni and Vanessa Mazuz (aka Mr. and Mrs. Parlour). We make the best ice cream around, with the best ingredients. Vanessa started experimenting with ice cream many years ago, after we moved from Philadelphia so Yoni could attend graduate school at Duke. 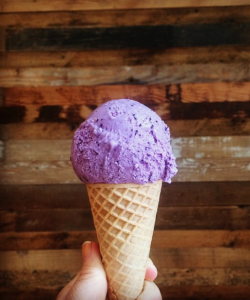 Coming from a city with such a strong ice cream history, we missed the easy access to high-quality handmade ice cream. Since sharing a scoop with friends is one of our favorite things to do, we began making ice cream at home to bring to friends and coworkers. Our hobby grew into a business in 2011, when we bought a used commercial ice cream maker, started making bigger batches at The Cookery, and served it all over the Triangle from our converted school bus. In 2012, we ran a Kickstarter campaign to raise money for our own kitchen, and in the April of 2013 we opened our permanent location downtown, where we now employee 3 kitchen staff and a dozen scoopers. We love being part of downtown Durham, where we operate right across from CCB Plaza, home of the iconic Major The Bull. We’ve been thrilled at the support we’ve gotten from neighboring businesses, community organizations, media, and of course customers. Tourists and locals alike keep us busy, with lines out the door all summer. In 2014 we announced that our first expansion strategy—adding more space right where we are, for more seating, more production space, a bigger menu, and a bookable private party room. 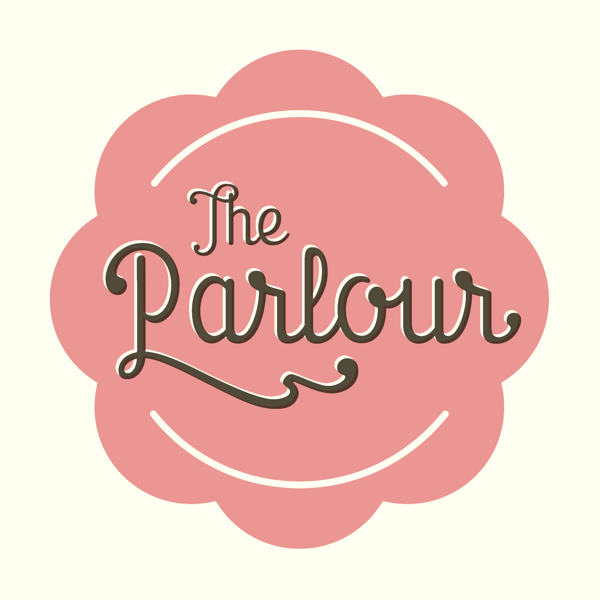 Follow The Parlour on Facebook and Instagram!